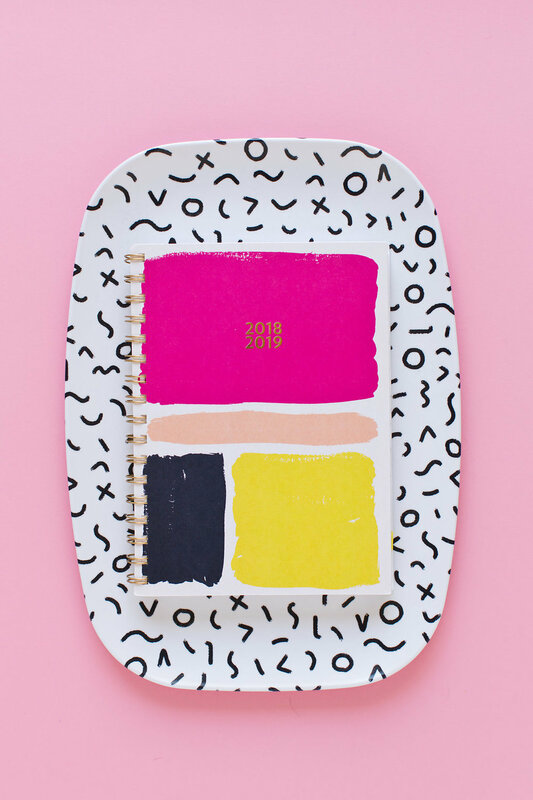 We have seriously got you covered for all of your planner needs and dreams for academic year 18-19! We partnered with Blue Sky again on THREE different collections in about every format and size you could hope for! Desk pad, wall calendar, big planner, small planner, lots of notes, little notes, hard back, soft back... you choose! Blue Sky produces the best quality agendas and calendars, so we cannot wait for you guys to get your hands on these. The Splatter Ombre and Gold Brushstrokes collections seen here are available at Staples. If you like something a little more colorful, the Abstract and Mosaic collections can be found at Walgreens. We are seriously in love with the This Week Planning Pad! A fresh start every week feels so good! Lastly, the Dot Flower, Color Block, Fresh Floral and Crackle collections are available at Walmart. We think we've officially got every town covered with our Ampersand planners now! :) The simpler stated Blush and Deep Blue planners below can also be found there. We love a good solid, but don't worry, we gave you a great hit of color and pattern on the inside! Happy planning! We know you're going to rock this year!